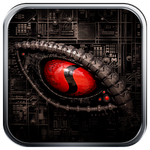 Back in January of this year, Qualcomm released its "Snapdragon GameCommand" app in order to highlight games specifically designed with enhancements for Snapdragon processors. Basically, it was Qualcomm's answer to NVIDIA's TegraZone. The only thing is... we didn't really hear much about it past the initial release. And now, Qualcomm has pulled the app from the Store altogether. You can go look - we'll wait. Once we realized the app was missing, we reached out to Qualcomm for comment.